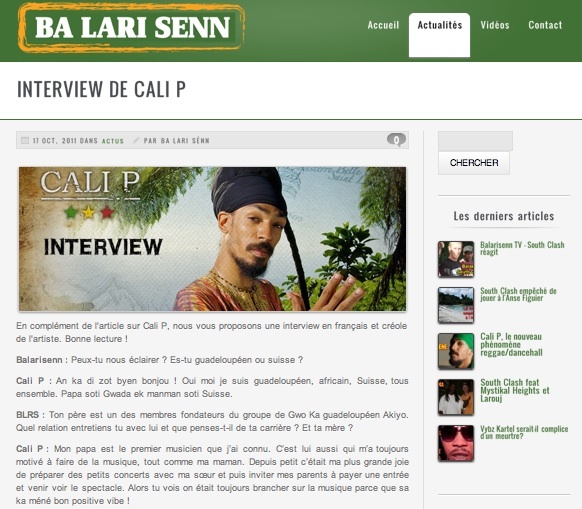 Recently the french carribean blog www.balariseen.net did a article about the release of Cali P’s new album “Unstoppable”. 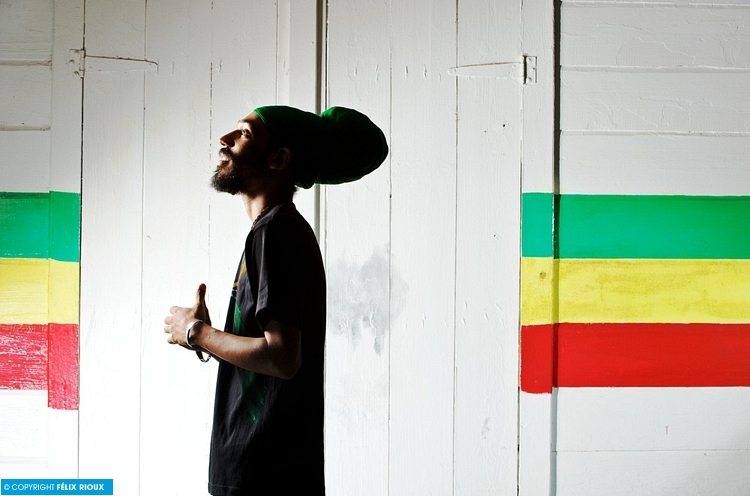 They got in touch with Cali a few days ago to ask him a few questions about his recent international success and the release of his new album. 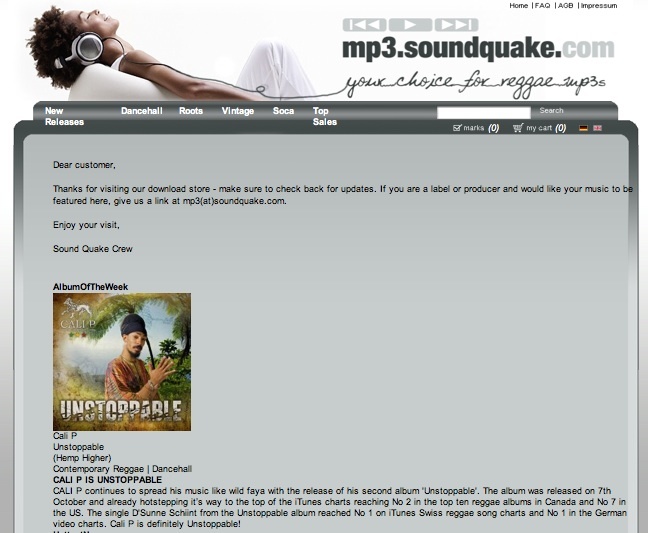 After Hotsteppin his way to the Top ten reggae album charts in Canada (#2), USA (#7) and more recently Switzerland (#4 – Yesterday) with the release of his album: #Unstoppable, Soundquake decided to select it as Album of the week! Check out their website! Tomorrow at 15H45 Cali P will be Live on Swiss national TV (TSR2 – Musicomax) talking about his new album #Unstoppable and his florishing international career since he left Switzerland last year. Make sure you tune in! 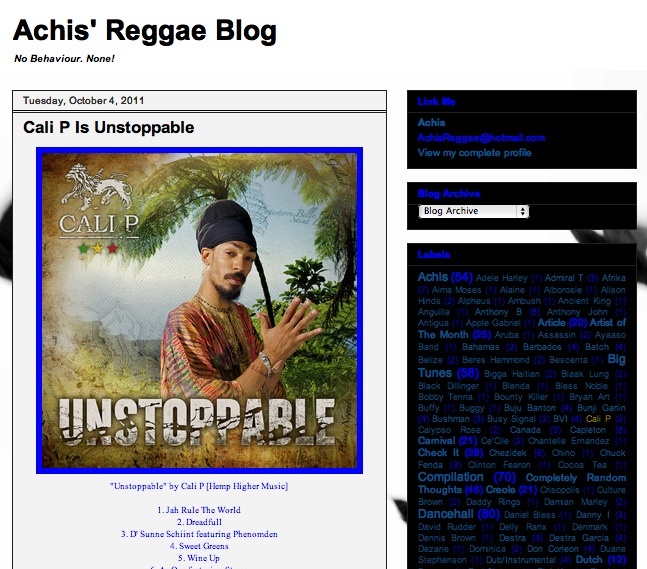 3 Lucky people will win a copy of the new Cali P album by simply clicking on the link underneath and filling in the form on tilllate.com. Inspired! 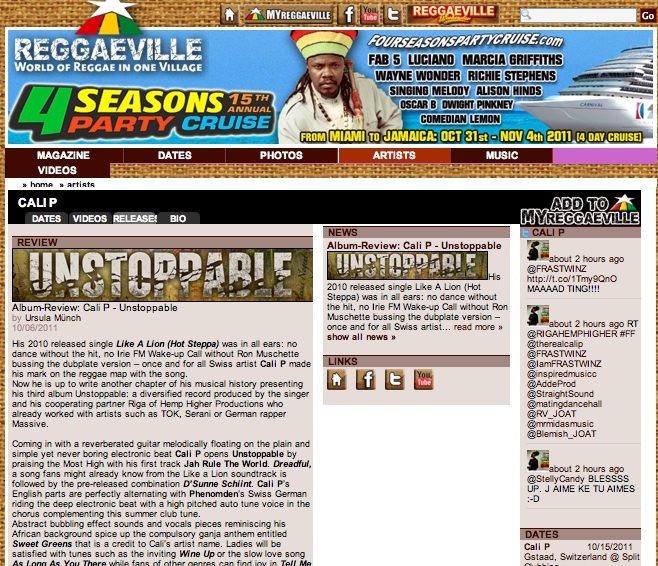 First week after the release, here are some of the first international reviews of the album… #Unstoppable in stores now! We hope you went out and bought the new album this week, Unstoppable is still climbing charts worldwide…join the mouvement! 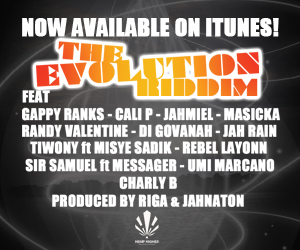 In the meantime here is a track for all Reggae lovers out there: brand new Cali P: Don’t frade. 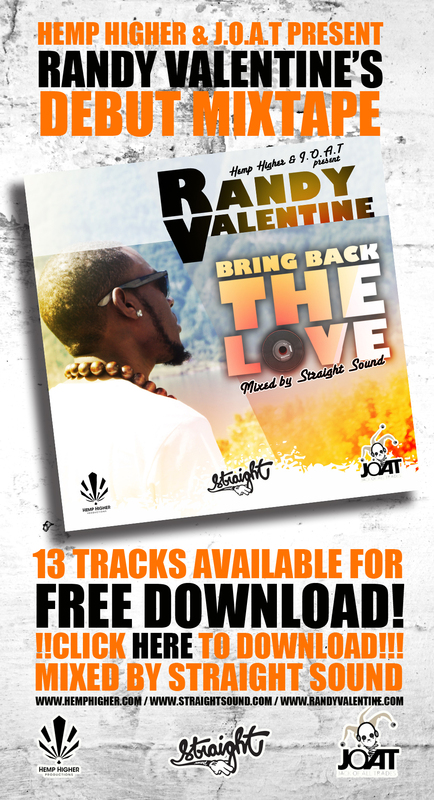 Click on the pic to listen to the track. 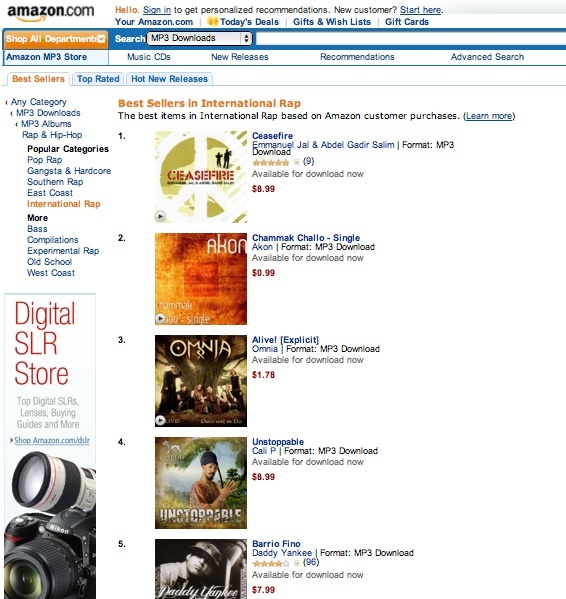 Cali P’s New Album “Unstoppable” keeps on entering international charts as it reaches No4 in the Best selling albums for the “International Hiphop” category.